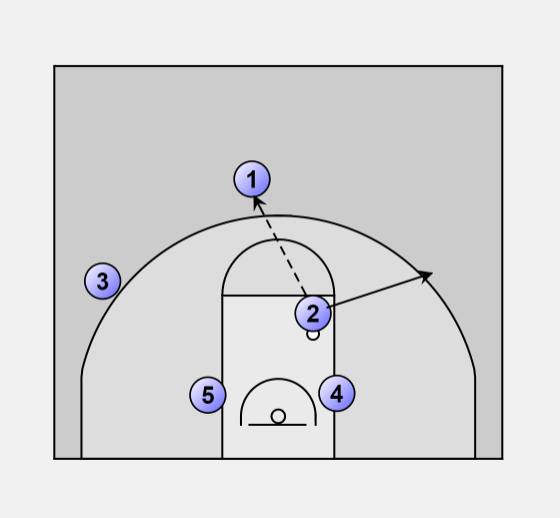 2-Low is a continuous offense designed against a man-to-man defense. 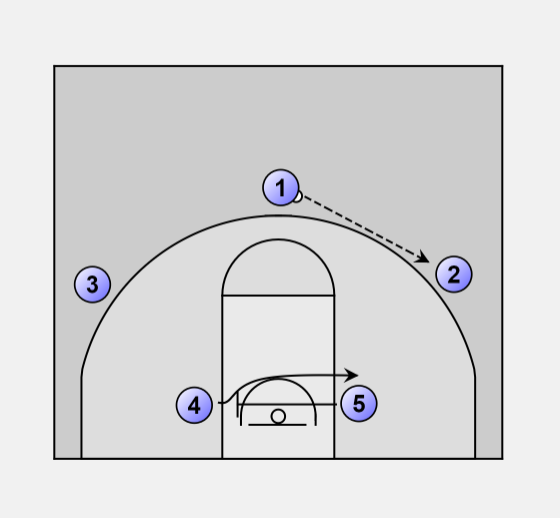 1st - Post screen away from the ball. 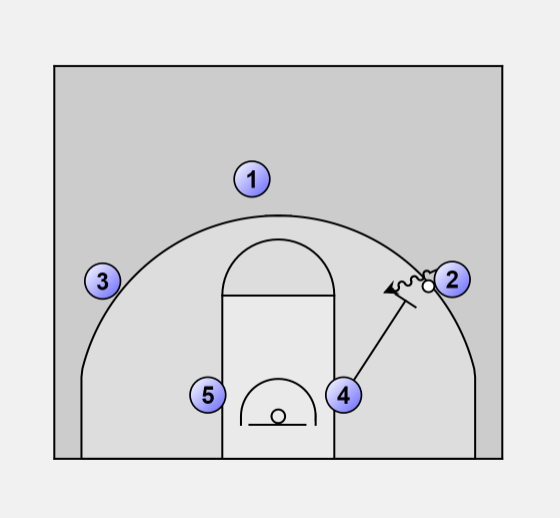 2nd - Delayed screen away by the point guard for the opposite wing. 1 and 3 return to their original positions. 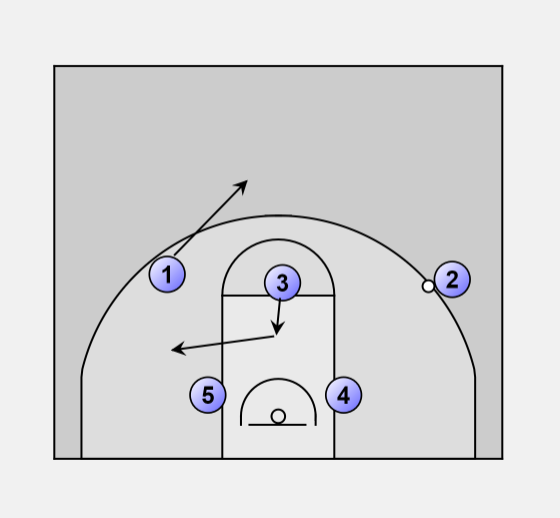 3rd - Post screen for the ball (Pick-and-Roll). 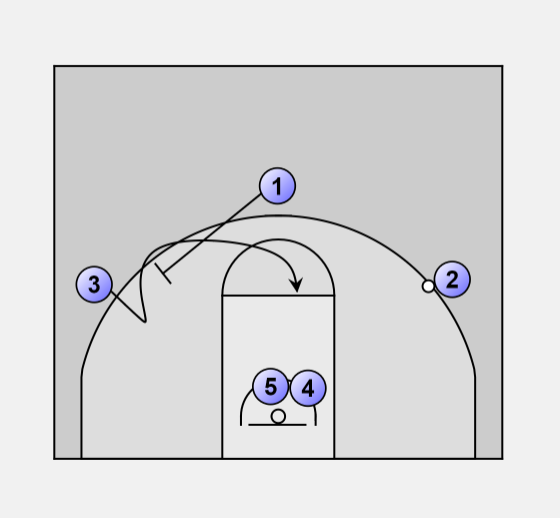 If no shot pass back to the guard and start again.